Over 29,000 downloads since publication! 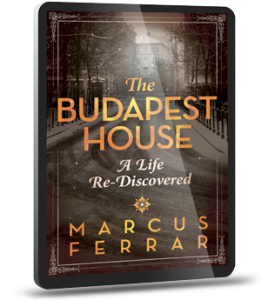 Ferrar masterfully recounts moving personal stories against their wider historical backdrop and vividly evokes Budapest’s haunted past. A Hungarian Jew traumatised by the loss of half her family in Auschwitz returns to Budapest to retrace her roots. She discovers a dramatic personal history that enables her eventually to shed the burden of her past and move forward to a new life. This is a true story of human beings caught up in the maelstrom of 20th century history – the Nazis, genocide, Cold War, dictatorship, and the struggle to make new lives after the fall of Communism. Told with great sympathy and warmth, this well researched book brings history to life by recounting the experiences of ordinary men and women confronted with daunting challenges.